Come Join us for an evening PACKED FULL of excitement! $20000 Dollars in FREE Tuition being given away and more AMAZING Raffle Prizes!!! 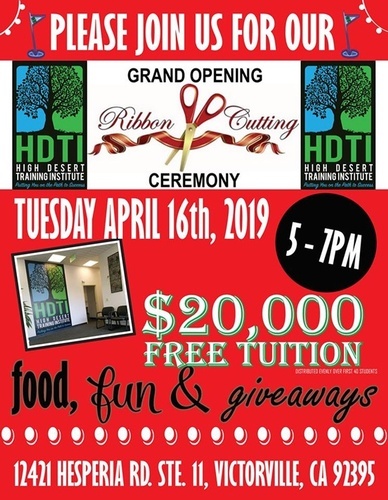 Grand opening specials for signing up at the ribbon cutting! Refreshments and lights snacks will be served! Join us and take a tour of our beautiful institute!